If you are looking for a cheap, quick science experiment, look no further then your pantry. Mixing baking soda and vinegar causes a bubbling reaction that is sure to excite any child! My son has spent countless hours mixing these 2 ingredients over and over and over, and he never bores of watching the "explosions". 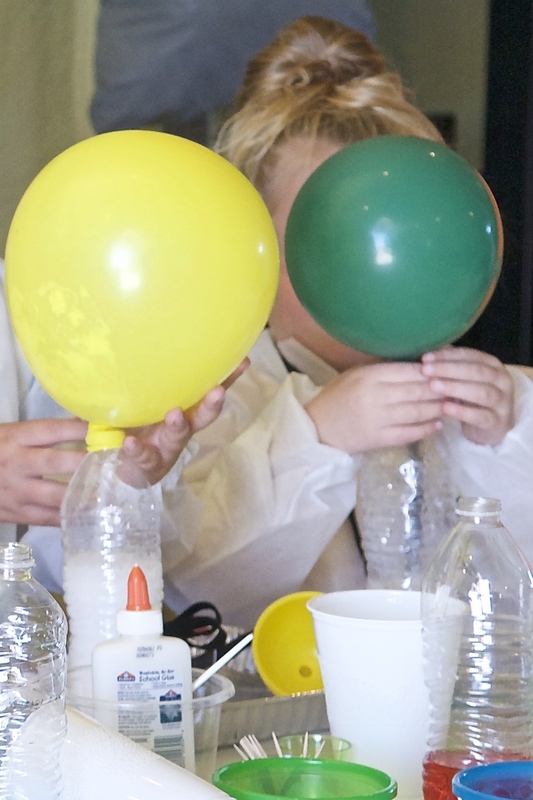 For this experiment, we are using baking soda and vinegar to automatically inflate a balloon. We did this experiment for my son's birthday party and all of the children were amazed at how the balloons magically filled with air. To an empty water bottle, add about 1/2 cup of distilled white vinegar. 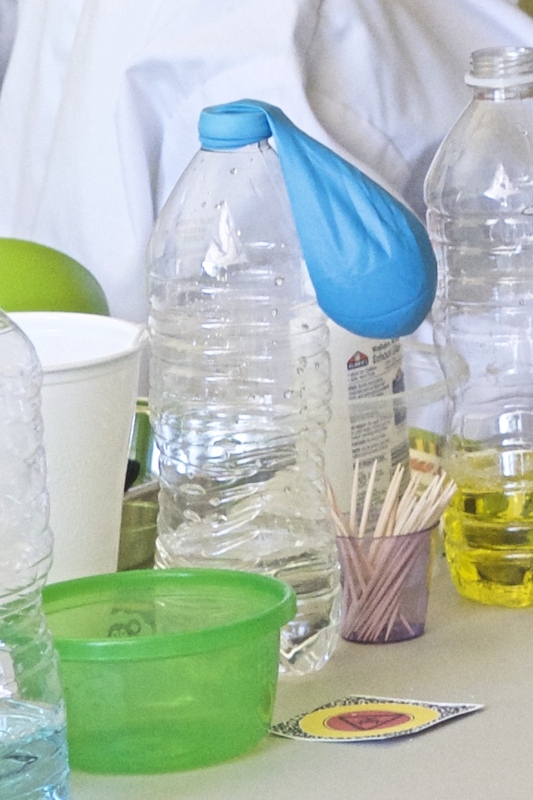 Using a funnel, put approximately 2 T baking soda into a deflated balloon. Carefully attach the end of the balloon over the mouth of the bottle without dumping the baking soda in. When you are ready for the reaction, have the child tip the deflated balloon to empty the baking soda into the bottle. 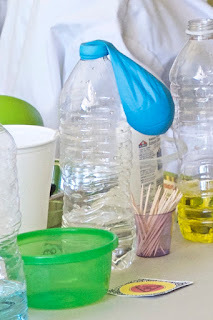 Once the vinegar and baking soda mix, the balloon will start to automatically inflate. For those inquisitive minds who want to know how this happens, the vinegar is an acid and baking soda is a base. When you mix an acid with a base, it causes a chemical reaction. In this reaction, carbon dioxide, which is a gas, is released. The gas has nowhere to go to escape, so it blows up the balloon.